Hi everyone, I have been completing a couple of unfinished objects this week, the first one is this little cross stitch gift set, I only had the little oblong pillow to finish, it has been sitting in my unfinished pile for quite a while now. I have made this set a few times for friends but I wanted one for myself as I love the design, the first was this set here where you can also see a matching gift box that I designed. 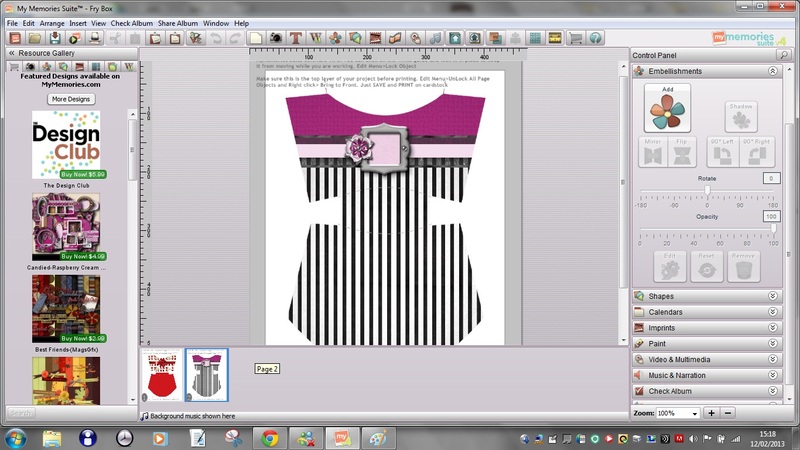 If you check out my finishing tutorials blog you can see the biscornu tutorial showing how to stitch it together. The pattern is from this blog here I could not find the pattern on this Biscornu page but if you email the blog owner I am sure she will send it to you. 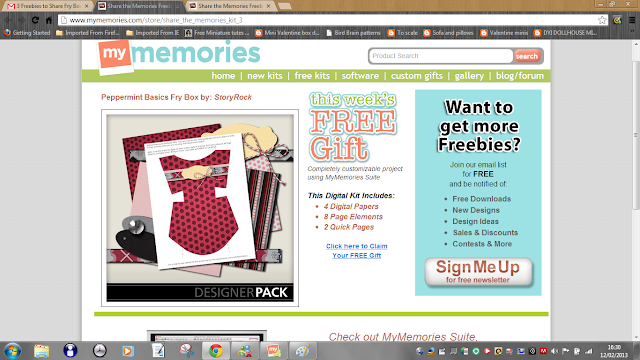 She has lots of patterns in the freebie section, if you don't know how to translate the page just look for Grilles Gratuite in the sidebar listings to locate the free patterns section. I painted two coats of acrylic paint on the little wooden basket, you can buy these at any good craft store. I am off to finish some more stitching in my unfinished objects stash! Hi everyone, promise not to laugh at my first ever attempt at making Macarons! Mmmm, I think I need some more practice as they are not the right shape, however, they tasted delicious, I filled them with strawberry jam and double cream. I made them this morning (Sunday) however, I watched a couple of You Tube videos showing how to make these delightful little desserts and then afterwards found this wonderful blog about the making of Macarons. Trust me, what this lady does not know about making Macarons would fit on a postage stamp, her blog is a Macaron paradise with lots of tips to eventually achieve perfection in these sweet little things. I found the reason why my Macarons were not flat, apparently the mixture was too stiff and needed more folding, well at least I have an excuse to make some more and do lots of practice. I purchased the Laduree Sucre book at the end of last year and although I did not follow the recipe in this book I just had to show you how pretty it is. I purchased my copy from Amazon uk. Maybe one day my Macarons will look like this! There are lots of other lovely sweet treats! 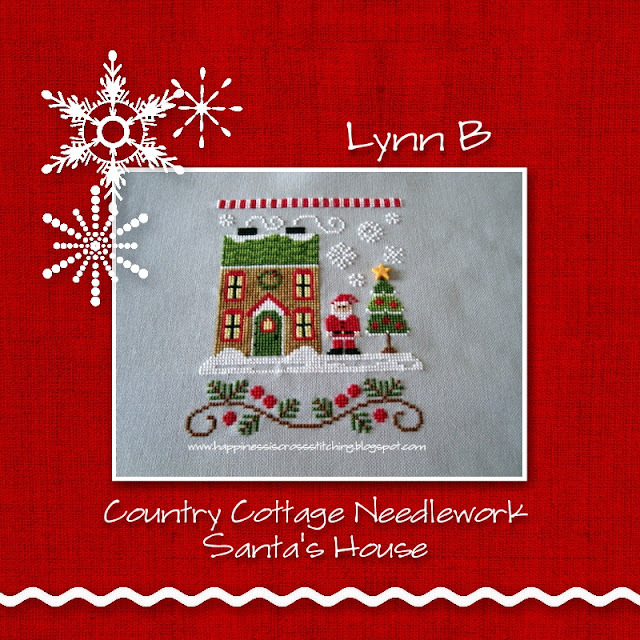 Santa's House finished ......again and digital scrapbooking. Hi everyone, I have now completed Santa's House for the second time, yay!!!! I am so pleased at the way it is looking on this grey fabric. (more photos below) I have just started to stitch Poinsettia Place which is the next house in this design. As you can see I have been playing around with the My Memories Software package to create the pictures, I am hoping to do this on all of the Santa's Village Designs so that I can put them on a nice collage in December. 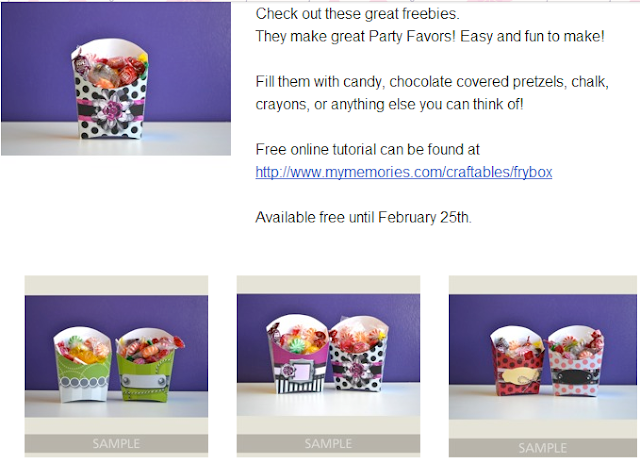 In this post I will be giving some tips and showing you what you can do with the software, in particular I will show a nice Fry Box that has been designed by My Memories and edited into a Valentine Box by me, it is so easy to edit the templates. I have just received the news that my fitter can start work on my new craft room in March ........yay!!! I am so excited about this, I have wanted to get the this room sorted for a couple of years now, I can finally get all of my things neatly away. It is basically kitchen units which I think will be perfect for a craft room, I was initially going to do the room in shabby chic furniture, however the room is not very big and I thought I would get more use out of the room using fitted furniture. I have chosen white for the units and a lovely pale grey paint for the walls, there will be glass fronted cupboards with LED lighting inside and lights under the wall mounted units too. My crafting has been on a go slow of late but once I get my new room fitted I will be crafting like crazy, I have lots of new ideas for giveaways too, it will be such fun! The one thing I will promise myself is that I am going to finish all of my unfinished stitchng, I never used to have half finished projects, I was basically a one project at a time girl but since I started blogging I have stuff everywhere, it is my New Years resolution to do one thing at once from now on. Mmmmm, lets see how long that lasts! If you wish to know what I used to edit the photos keep reading below. My Memories are really good at giving lots of freebies, I am sure you will all know by now I do love a freebie! Initially I did not realize that I could edit these designs myself using the software kits I already had, so I decided because Valentines Day is nearly upon us I would make a Valentine box using the template that was provided free (only free until 25th Feb)on the My Memories Suite blog, all of the designs below are available. 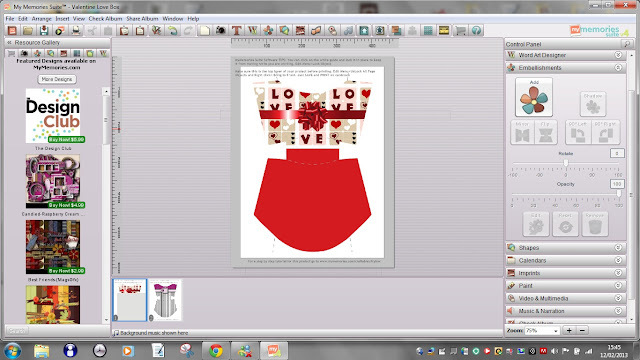 I found a tutorial that explained how to edit the template and after a very short period of time I was designing my own little Valentine box. This is a screen shot of the box once I uploaded the template. 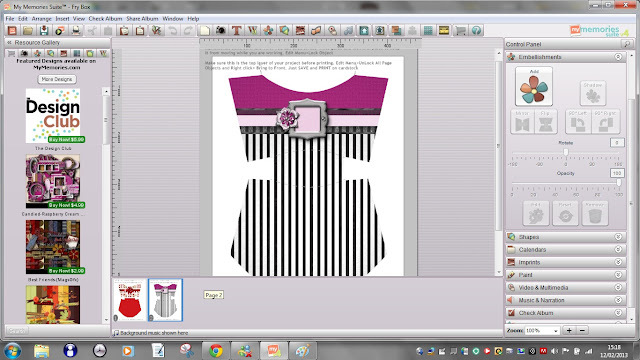 Here is another, it includes the papers and elements for you to use in another design. Here is the little Valentine Box I designed using the software, I followed the tutorial for changing the template papers and embellishments and hey presto! I would have printed this and put it together but my printer needs some more ink. It looks very pretty don't you think? There are so many templates for boxes, calenders, etc that you can get from their site, it is great fun! Here are a couple of links for you to check out what the software allows you to do. 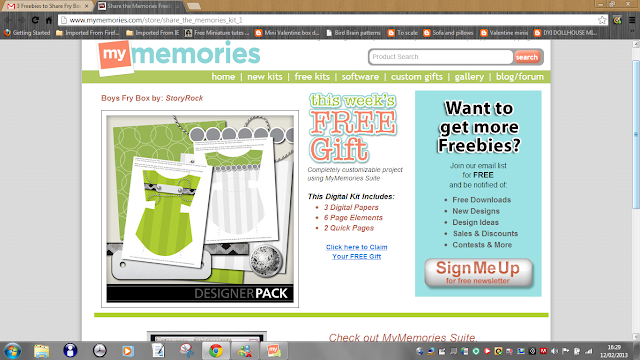 If you use this code to purchase My Memories Digital software you will get $10 off the software and a $10 coupon to spend in the store, just add the code below to the promotion offer box in the add to cart on the My Memories Software page. Hi everyone, thankyou for all of your lovely comments on my previous post, I see there are a lot of Country Cottage Needlework fans out there! 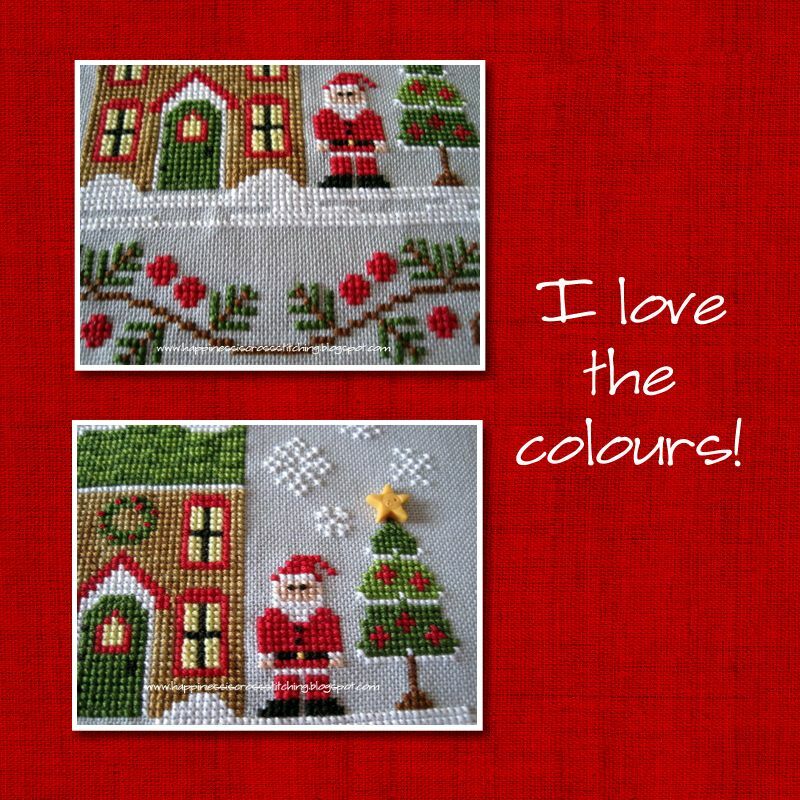 I have made quite a bit of progress on the repeat stitching on the first Santa's House, since taking this photo I have done quite a bit more stitching. I am glad I decided to change the fabric, it is so much easier to handle than the Permin Linen and I particularly love this soft grey colour. 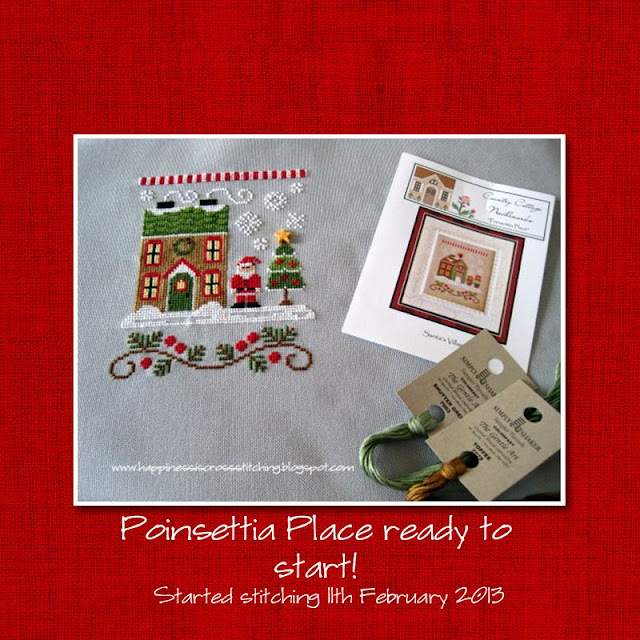 I will soon have this one finished, then I can start the second house, it is a lovely design and I am really looking forward to stitching it. I have now got a date set for my craft room to be fitted out - Yay!!! The plans have been drawn up and I am just choosing the cabinets and the door fronts, some will have glass doors with lighting to display some of my finished stitching. Look out for the posts on this as I will be showing pictures on its progress and I may even show you a video tour!